There is one aspect of the warehousing industry that is more important than just about all others, efficiency. Whether it be efficiency in the storage of materials or efficiency in moving inventory from one area to another, continually improving your warehouse can save you an incredible amount of time and money, and these benefits will compound again and again… These are the exact type of space problems that Panel Built and modular construction provide solutions to. There are so many different complications a busy warehouse can run into on a day to day basis, especially with a facility that just seems to keep growing. One of the more frequent problems is a warehouse running out of storage space. When the facility started, it may have been the proper size to run the operation. However, over time, work processes, inventory, and industries change, altering the size and space required for your warehouse to run properly. Instead of moving into another facility altogether, modular mezzanine systems allow these warehouses to increase their storage space by taking advantage of the unused vertical space above the warehouse floor. These steel mezzanines provide a fast and affordable alternative to moving to a new location or adding on to your warehouse. Also, they can be used as catwalks and/or crossovers to allow employees to move about the warehouse more efficiently and safely. Similarly, these mezzanine systems can provide overhead storage for conveyor systems that can move product around the facility in a more organized and systematic manner. All in all, there are a lot of ways modular construction can make a warehouse more organized and less cluttered by utilizing the space that was unused before. No matter what the attraction, modular buildings can provide a low-cost and mobile solution for its ticket booth needs. For example, in an amusement park, different rides and attractions can be featured at different times of the year like water rides during the Summer. In order to handle an influx of traffic to an area, adding an extra ticket booth can move customers through the lines at double the speed. However, at a different time of the year, the water ride probably will not draw as many guests because of the weather. Instead of buying double the buildings, a mobile ticket booth would allow you to simply use the same building in multiple parts of the park. Plus, these mobile buildings can be designed and painted to meet your specific needs, so they can blend into the theme of the surrounding area. And with Panel Built’s easy installation method, your park will see little to no downtime. Plus, these buildings are designed to withstand the rigors of being transported to the job site, so the structural stability of the building will be more than satisfactory. On military forts and bases, access control plays a crucial part of securing the entire facility. For this reason, modularized guard booths can play a vital role in providing extra security in their high-risk environment. In these conditions, our guard shacks can be constructed to meet all NIJ and UL bullet resistance ratings to provide added protection for the occupants. To ensure the longevity of the building, the structures are made from durable, low maintenance welded steel. Plus, they can be outfitted with added security measures to customize the booth to the requirements of the location. These bullet resistant structures come equipped with “no spall” glass to prevent shards of glass from breaking away from the window, causing injury. As you can imagine, this type of increased security can provide important protection to the soldiers and officers, especially in these hazardous conditions. In addition, Panel Built has manufactured a number of military grade steel mezzanines and catwalks to provide vital workspace for military bases and forts across the United States. Also, Panel Built, Inc. is a GSA contract holder (#: GS-07F-0186X), awarded in December 2010 as a small business concern offering total modular office storage solutions to government agencies at the best quality and best price our industry has to offer. 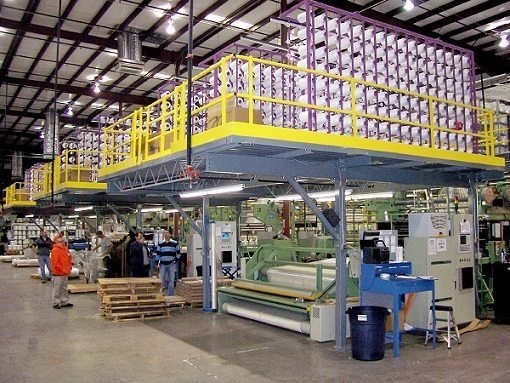 In a manufacturing environment, inplant offices can provide a quick, and affordable solution to your space needs. In many cases, the manufacturing facility will be a large area with a large amount of traffic with a lot of chaos and noise. In order to combat this, modular offices provide a comfortable environment for supervisors and employees alike. Oftentimes this area is used simply as office space in order to complete paperwork away from the loud manufacturing environment. However, these inplants can also provide the perfect area for a conference room or break room for your facility. With their sound dampening wall panels, the new space will provide sound reduction, allowing for a more comfortable working environment for your employees. In the transportation and supply chain industry, providing security for your cargo and transportation hub. Like many of the other industries and sectors mentioned, access control is essential to the day to day processes of transportation companies. With many different trucks coming in and out with oftentimes precious cargo, these companies not only have to promote the efficient and secure transportation of their freight, but also the threat of exploitation of their own supply line. One of the many steps taken to reduce these threats involves increased security and limited access to the transportation hub and the freight coming in and out. 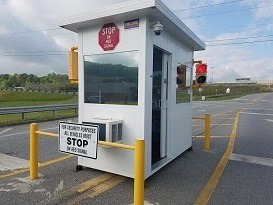 Providing a guard house at the access point not only allows you to monitor all the traffic flow but can also help prevent potential threats later on. With a prefabricated guard booth, your security officers will have a comfortable environment and panoramic view. Just like these other sectors, schools are always growing, and they also need solutions to their space problems. For instance, Panel Built has provided schools and universities with mezzanines, guard shacks, and even press boxes for their sports stadiums. The advantage modular construction has in this segment is its quick project times and low site disturbance. Stick-built construction can carry with it unexpected delays which not many schools can afford to let happen. However, due to the controlled environment that our structures are manufactured in, the project site can be prepped while the structure is actually being built, and you will not have to worry about project delay due to weather. Also, using a combination of our structural steel mezzanine systems and prefabricated exterior buildings, we can deliver football, baseball, and soccer fields with first class press boxes that provide the perfect view of the game. Finally, many government agencies outside of the military can make use of the advantages of modular construction. Due to the highly sensitive nature of most government information, these agencies require an office/meeting area that is secure against surveillance and data leakage. For these instances, government agencies use SCIF rooms (or Sensitive Compartmented Information Facilities). These secure rooms provide protection against unauthorized personnel by suppressing the ability for electronic surveillance and protects against the entry of unauthorized personnel. Modular construction provides a benefit in this scenario due to its ability to provide this unique product in a short timeframe. 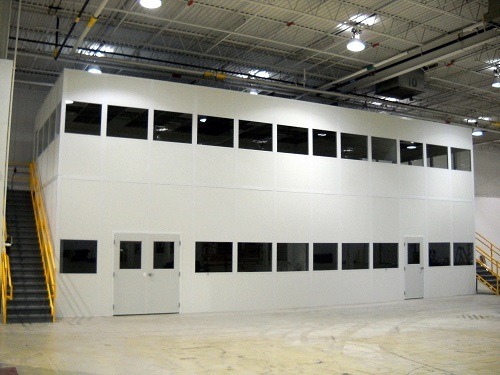 Due to the ever-changing nature of government strategy and intel, SCIF rooms can be needed sometimes at a moment’s notice; with our panelized wall system, the panels for the room can be put together while the site is being prepped, leaving only the installation left. Ultimately, modular construction provides a great deal of flexibility in design and in application, along with an affordable price and short project times. If you want to learn more about modular construction, or start a modular construction project of your own, contact our sales team, or request a quote on our site. 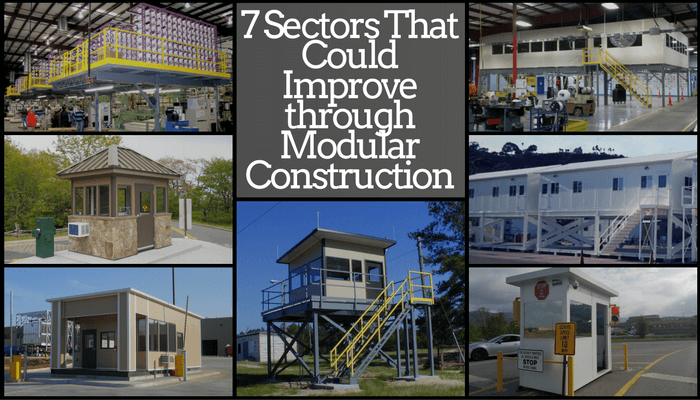 With all the benefits of modular construction, there are many different sectors that could utilize them for their benefit.